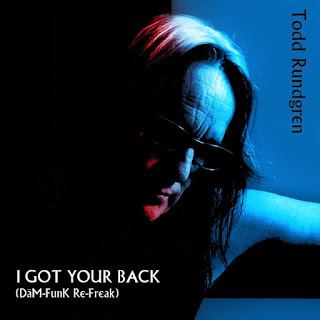 Los Angeles, CA - When legendary producer/songwriter Todd Rundgren went looking for special guests to collaborate with on his newest album White Knight (released 5/12/17 by Cleopatra Records) one of the more surprising yet enormously successful choices was electro R&B superstar DāM-FunK. The two collaborated on the stellar track “I Got Your Back,” fusing Rundgren’s jazz art rock with DāM’s ultra smooth e-piano grooves. Now, DāM returns to the track and offers up a new vision of their collaboration, a “Re-Freak” that adds more bottom heavy synths and new vocals sung by DāM. The result is a delight for fans of both Todd and DāM and is currently available on all digital platforms courtesy of Cleopatra Records.